During 2012 we focused our efforts on providing a web-based questionnaire for FBHVC club members that was aimed at seeking such information. The period allowed for receiving responses was to end circa August 2012 but this has been extended due to the disappointing number of responses (circa 250 – a number that represents about 1% of our membership) received. 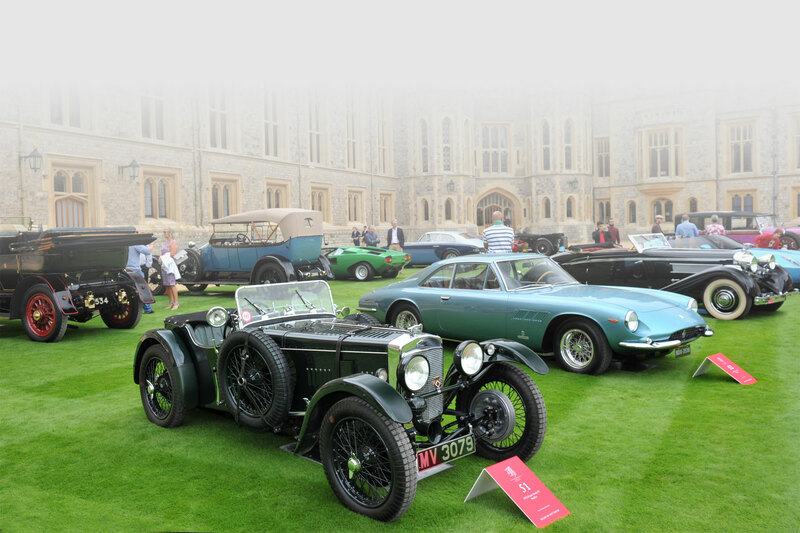 So for 2013 the questionnaire is extended to all historic vehicle enthusiasts via the motoring press. The questionnaire for individual enthusiasts can be accessed by this via http://tinyurl.com/8cpqxvf and is completely anonymous as required and will be evaluated by FBHVC and FIVA. To complement this enthusiasts’ questionnaire we will undertake a similar exercise with a limited number of our trade supporters to establish their views on the same topics. Over the years I have often been asked: “What will we do when you retire”? This question is more often than not asked by restoration firms who send historic engines to my company to have their white metal bearings attended to. Many overseas companies have informed me that they have no-one in their country capable of producing the work we do to the required standard. This is great news for the UK’s economy, especially when you consider that approximately one third of my company’s orders bring in foreign revenue - I know that many of you can beat that figure. Like many of you, I run a small restoration company and having spoken to a great many of you realise that the shortage of skilled craftsmen is widespread within our industry. Many of us have previously taken on young people and quickly realised that today’s “live in the present” culture has failed to produce very many youngsters with the patience required to be trusted to work on vintage vehicles – but they are there if we look hard enough! “Ah”, you say, “even the right trainee will cost me hours of time and therefore money, through missed deadlines and dissatisfied customers”. I have “been there” and fully understand this problem. Although we must primarily be businessmen and as such have little time to waste on a recalcitrant youth in the hope that he will “come good”. However, when you find the right trainee the rewards are tremendous. My firm currently employs two seventeen year olds who have brought renewed enthusiasm and sense of youthful fun to the firm that reminds us older ones why we love working on vintage vehicles. As a former college lecturer in Motor Vehicle and Mechanical Engineering, I am well aware of the necessary shift in main stream industry, away from traditional machining and fitting skills, towards electronics and computer control. Although, for example, CNC machining often has an important part to play in the remanufacture of certain vintage components, it is manual machining and the art of hand fitting along with many other traditional skills that are becoming harder to find. These are the essential skills necessary to keep our vintage vehicles going that we, (the industry) need to pass on to the next generation. The Federation is actively exploring ways to preserve these skills and needs our input and support to make it happen. I have already spoken to a number of you within my company’s network regarding this problem but my contacts only represent a fraction of our industry. I would therefore be grateful for further input from others in our large and diverse industry. Contact me Terry Formhalls by email if possible (enquiries@formhalls.com) or phone 01725 511241 with any suggestions, experiences etc. you would be willing to share. The views of all employers and craftsmen in our industry are very important at this stage to help the Federation proceed in the right direction. As mentioned above, later this year we plan to provide an on-line questionnaire on this web-site seeking your opinions on the availability, or otherwise, of restoration skills. Please keep your eyes open in a month or two for the opportunity.